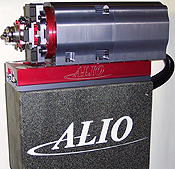 ALIO Industries began in 2001 with an idea to create “a better way” to meet the nano-precision robotic needs. This initial idea has grown into an ever-expanding product line that includes Hexapod robotic systems, air bearing systems and mechanical bearing linear and rotary nano-precision systems for atmospheric, clean room and ultra high vacuum chambers all with TRUE NANO Positioning™. Industries served include semiconductor, biomedical, ink jet deposition, lithography, nano/micro machining, metrology & synchrotron. LG Motion design, manufacture and sell specialist motion products and services for professional motion users throughout the world. 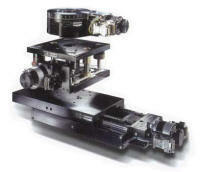 Mad City Labs, Inc is a leading manufacturer of flexure based nanopositioning systems capable of sub-nanometer positioning resolution. New Scale Technologies develops and manufactures the smallest and most precise closed-loop positioning solutions available. Our M3 micro-stages and actuators are all-in-one “smart modules” with built-in controllers: easy to integrate into handheld and portable instruments. We enable smaller, smarter imaging systems, scientific instruments, medical devices, aerospace and defense systems and more. Our customers achieve the fastest time to market with the lowest total cost. Our customers use our tiny motion modules to adjust micro optics or mechanical components within their handheld, portable and mobile systems. The modules have micrometer precision, work on battery power, perform at any orientation and resist shock, vibration and temperature extremes. With all controls built in, they are the smallest, easiest-to-integrate solution for product designers creating miniaturized systems for a range of markets. piezosystem jena is a world leading company in the development, design and engineering of piezo and piezo electrical actuator based positioning systems for micro- and nanopositioning and nano-automation.